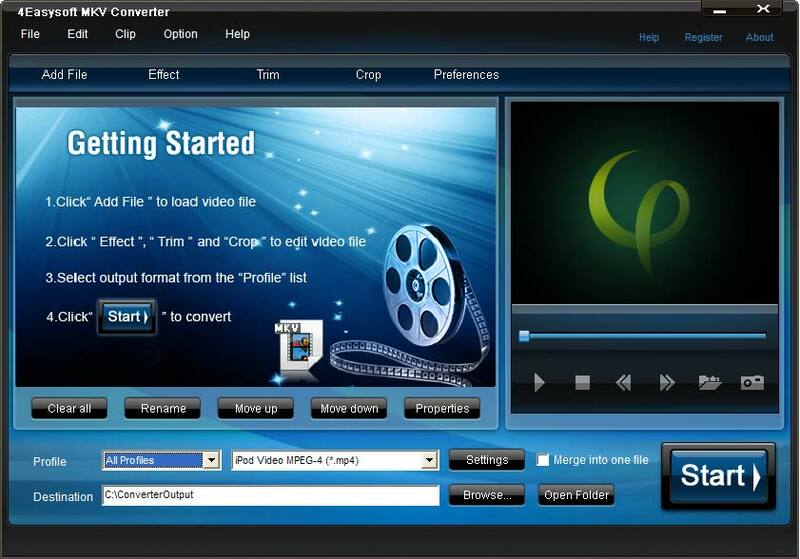 4Easysoft MKV Converter is a professional MKV Video Converter, which can convert MKV to various video formats. It also can convert MKV to AVI, MP4, MPEG, WMV, HD videos with best quality. set output video parameters, etc. Xilisoft DVD to AVI Converter rips DVD to HD video formats like HD-AVI, HD-DivX and HD-Xvid and to common video formats like AVI, DivX and Xvid for playback on media players. It can also convert ISO/IFO files to AVI formats. 4Easysoft Mac Video to PMP Converter is a powerful multi-format video to PMP Mac conversion tool to convert video to PMP on Mac with high speed and without movie quality loss.